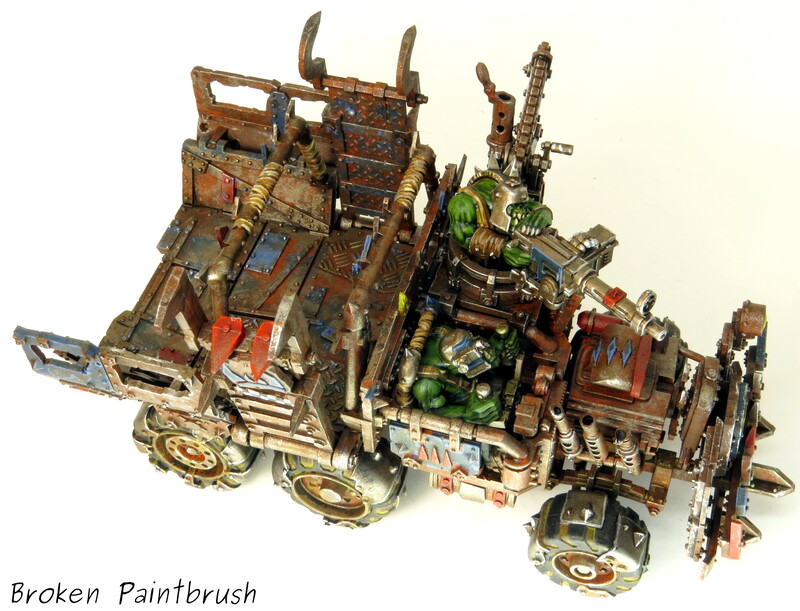 Here is the second Ork Trukk I painted for my Death Skulls. 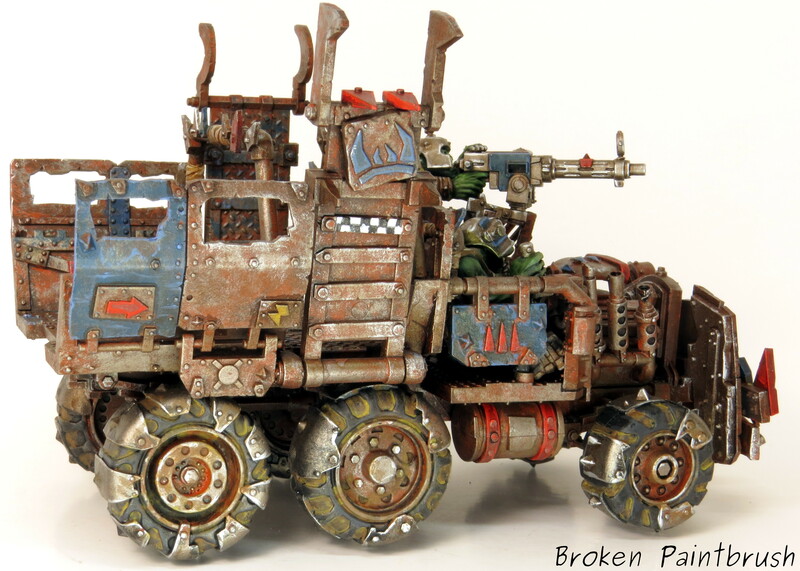 I built and painted this at the same time as my first trukk, which gave me a chance to not only keep the scheme similar, but also maximize the build to be as different as possible with the kit – which mostly involved switching the driver and gunner. 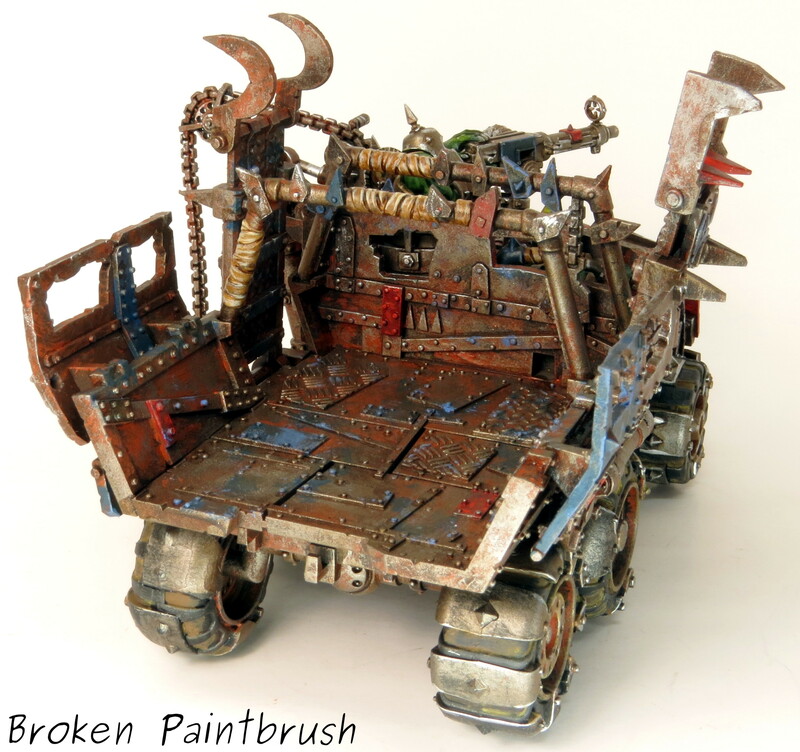 The bed of the trukk featured the same blue paint splatters from the Boyz gearing up for the fight. I did this by splashing the blue paint about and then taking my finger to wipe off the raised areas. This gave the look of spilled paint with worn metal tread showing through. The front grill probably shows the most colorful arrangement of looted piece but still predominately blue. The challenge I was working on was using the other clan colors, but make sure that the Death Skull blue was still predominate and clear where it came from. The top view not only shows how ramshackle the kit is, but how squeezed in the crew are to their section. Since I painted them separate I had only done a quick fitting before getting started. After finishing the paint and trying to reassemble I realized that the driver doesn’t really fit on this side of the cab – odd for being a UK product. After a bit of trimming and finagling I was finally able to squeeze them both in. 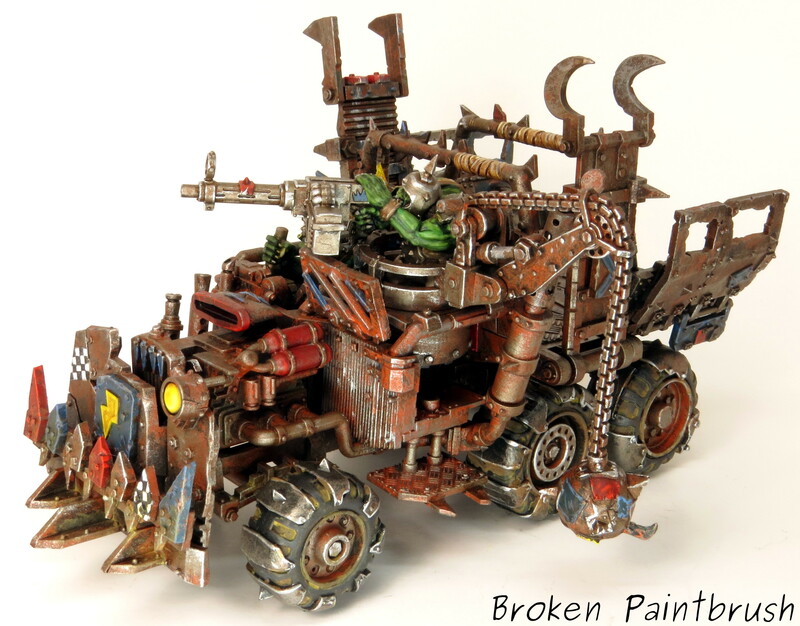 While I think the wrecking ball isn’t worth the points – trukks are to get the boyz in to the fightin’! 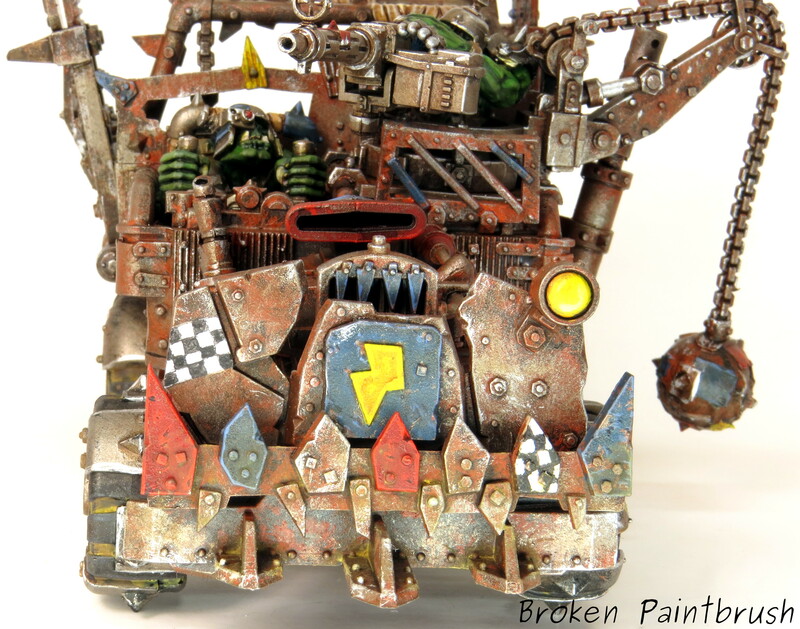 – it does look very characterful and fun so it had to be added. Also notice the red NOS canister attached to the engine to help it go faster. Again, on the side panels I wanted a mix of looted material such as the Goff checks, but still be predominately blue, well at least the sections that weren’t worn metal to be blue. are in the process of being built! I’m also trying to figure out a setup to take pictures of larger groups now that I got better lights.